C’EST MOI (French for “It’s Me!”) is the answer I wish I had when I was a wee tween and a pimpled teen – and even a little kid (vying for my mom’s cold cream). In my hormonal teen years, I was popping the accutane, scrubbing harshly with St. Ives (and those toxic-full Oxy pads!) – and I had no idea I was stripping away my good oils and leaving my face with dangerous residues. I just wanted those pimples to go away and my social life to stay. 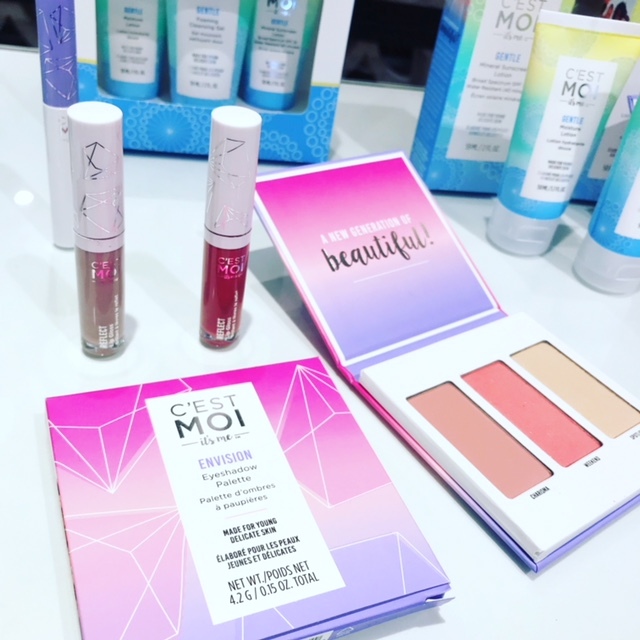 I was lucky enough to be invited to Charmed PR’s latest C’est Moi beauty event, hosted on Melrose at the fab Petit Mason. I spoke with the the VP of Marketing who generously provided me with all the intel on the line. C’est Moi (both the skincare line and the color cosmetics) are safe, hypoallergenic, phthalate/sulfate/paraben/fragrance free and are meticulously formulated with only the cleanest of natural and organic ingredients – exactly what young and delicate skin can withstand and need. Their ingredients include organic aloe, calendula, extracts of strawberry, cucumber, kiwi and apple, green tea, as well as chamomile water, organic sweet almond oil, and shea butter. Their makeup remover wipes, sunscreen, lotion and cleansing foaming gel are safe and gentle enough for the kids/tweens/teens – but effective enough for adults like me! (I’m especially in love with their mineral sunscreen that goes on soooo smoothly!) Now my girls and I can share products – which will make it a lot easier to pack for vacations. And like I mentioned, in addition to their skincare, C’est Moi has a cosmetics line too! 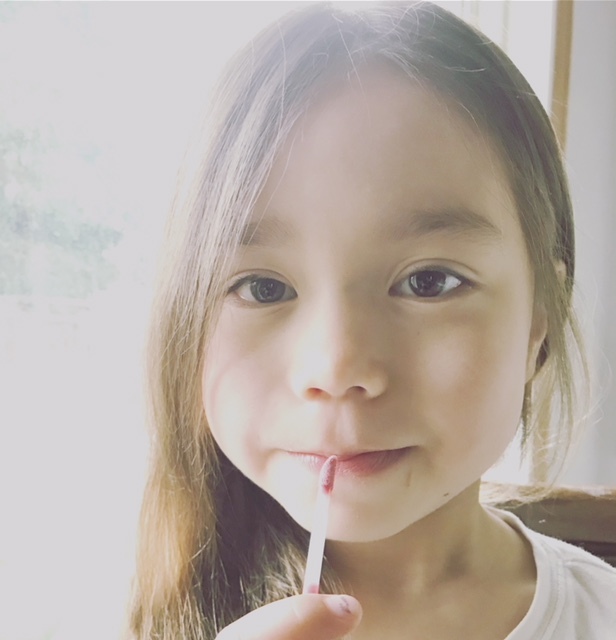 Their lip gloss is super fab and shiny and is perfect for teens and adults alike – however, its ingredients are clean and safe for use by the kiddos. My girls are obsessed. And it’s EWG Verified! I don’t have to worry about them messing around with pretend “Tinkerbell” makeup and lotions that I grew up with. Although it was fun and beautiful, the ingredients were scary. C’est Moi leaves you in good hands. Clean and effective skincare and gorgeous makeup for all!